Homepage » Computers » How to Remove Autorun.inf Virus Without Any Softwares? If you are looking for a way to remove Autorun.inf virus from your computer, then you are at the right place. Here is the complete guide to delete Autorun.inf virus from your computer without using any removal software. You can do this task manually without any help. According to the definition on Wikipedia, an autorun.inf file is a text file that can be used by the AutoRun and AutoPlay components of Microsoft Windows operating systems. For the file to be discovered and used by these component, it must be located in the root directory of a volume. As Windows has a case-insensitive view of filenames, the autorun.inf file can be stored as AutoRun.inf or Autorun.INF or any other case combination. In simple words, Autorun is a simple file that contains the information of the auto-executable file when a particular drive is opened. It is used to automatically run the CD-ROMs and DVD-ROMs. It’s not exactly a virus but if it is developed by hacker then it surely can trigger a virus in your computer. So to be on the safe side, you should remove autorun.inf virus from your computer as soon as you find it. 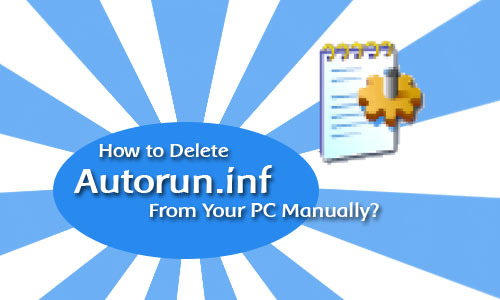 Here’s you complete guide on how you can delete autorun.inf virus from your computer manually without using any removal tools. How to Delete Autorun.inf Virus Manually? There are two simple methods that you can use to delete the autorun files from your computer. One is using Command Prompt (CMD) and the other is the manual method which is a bit long but effective. If one method doesn’t work, you can go with the other one. In the Command Prompt, type cd and hit enter to get to the root directory of C Drive (C:). Now type “attrib -h -r -s autorun.inf” and press enter. Now type “del autorun.inf” and again press enter. 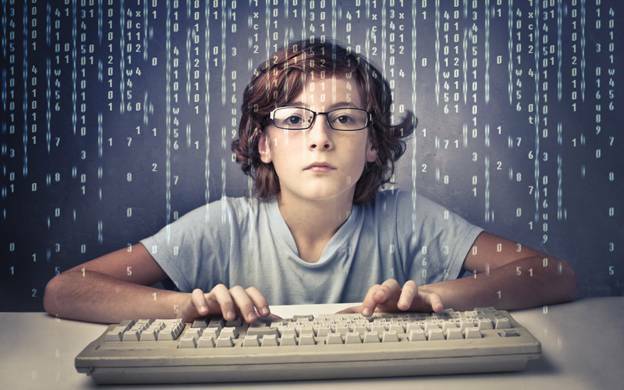 Now repeat the same process by typing “d:” and do the same thing and repeat the same for E: and F: as well. Finally Restart your computer to complete the process. Next, under the View section, select the box named “Show hidden files and folders” and tick on the uncheck the box that says “Hide Protected Operating System Files” and then click Apply and then OK.
Now right-click and select Explore to open the drives. Delete the autorun.inf file and MS32DLL.dll.vbs or MS32DLL.dll; use Shift + Delete to delete the files as it removes it permanently. Now go to C:Windows and delete MS32DLL.dll.vbs or MS32DLL.dll; use Shift + Delete to permanently delete the files. Now go to Start > Run and type in “Regedit” and press enter and the Registry Editor will open. Now navigate in the left pane as follows – HKEY_LOCAL_MACHINE > Software > Microsoft > Windows > Current Version > Run. Now delete the entry MS32DLL using the delete button from the keyboard. Now go to HKEY_CURRENT_USER > Software > Microsoft > Internet Explorer > Main and then delete the entry “Hacked by Godzilla”. Now go to Start > Run and type in gpedit.msc and hit enter to open the Group policy editor. Next go to User Configuration > Administrative Templates > System and then double-click on entry “Turn Off Autoplay” and a window will appear. Next select Enabled, then from the drop-down menu, select All Drives and then click OK.
Now go to Start > Run and type msconfig and hit enter and a system utility dialog box will appear. Go to Startup tab, uncheck MS32DLL and hit OK. If it asks for restart, click on exit without restart. Now again go to Tools > Folder options (or Organize > Folder and Search Options) and tick “Do Not Show Hidden Files and Folders” and also check the box saying “Hide Protected Operating System Files” and click on Apply and then OK.
Now go to the Recycle Bin and empty it to remove any possibility of any unwanted files lying there. Now you can Restart your PC and you can now double-click on hard drives to open them. Make sure, to restart your computer immediately after completing the process. Don’t open any hard drives before restarting your PC. Following the above methods, you can now easily remove autorun.inf virus from your PC without using any type of autorun removal tool. So go now and remove the autorun file from your computer forever and if ever appears again, you know what to do!